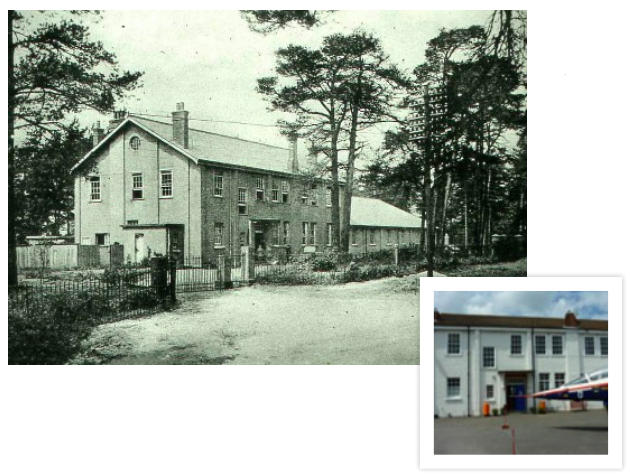 now named Trenchard House, this is the earliest building on the historic Farnborough aviation site. 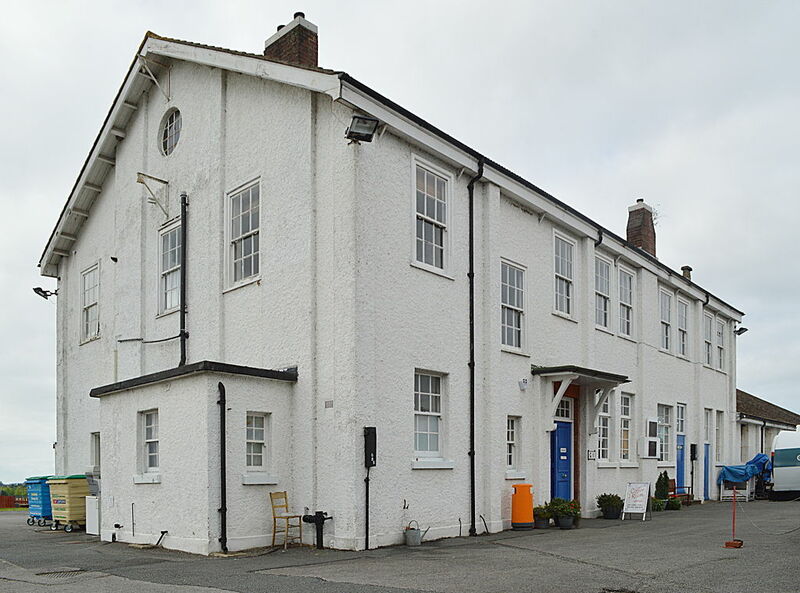 It was built in 1905/6 by the Royal Engineers to be the headquarters of their Balloon School and it is one of the oldest aviation related buildings in the country. It was HQ of Lord Trenchard as he formed the Royal Flying Corps in 1912 and later became part of the Royal Aircraft Establishment. 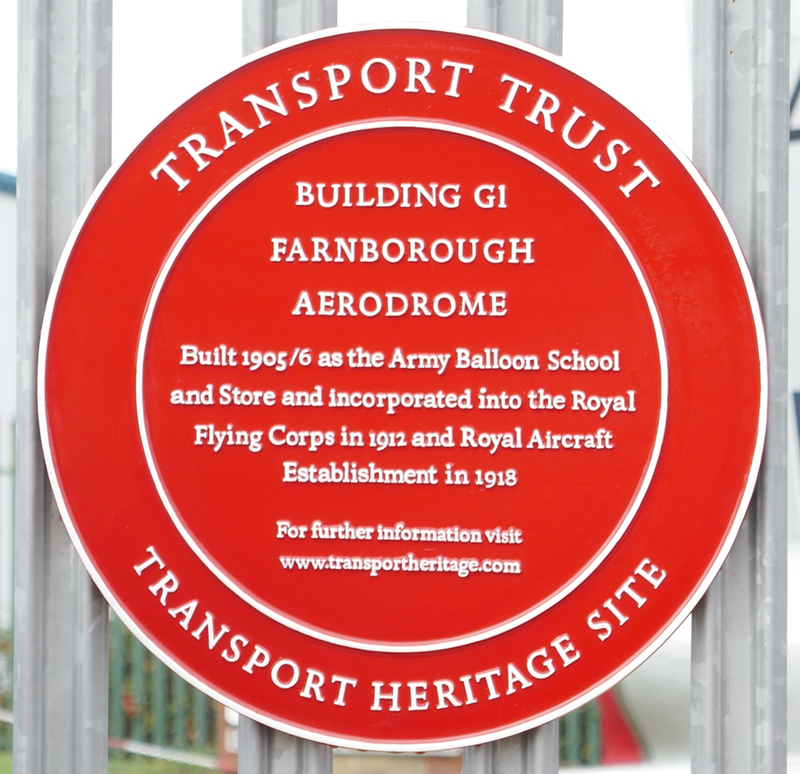 Now the offices and museum of the Farnborough Air Sciences Trust (FAST). 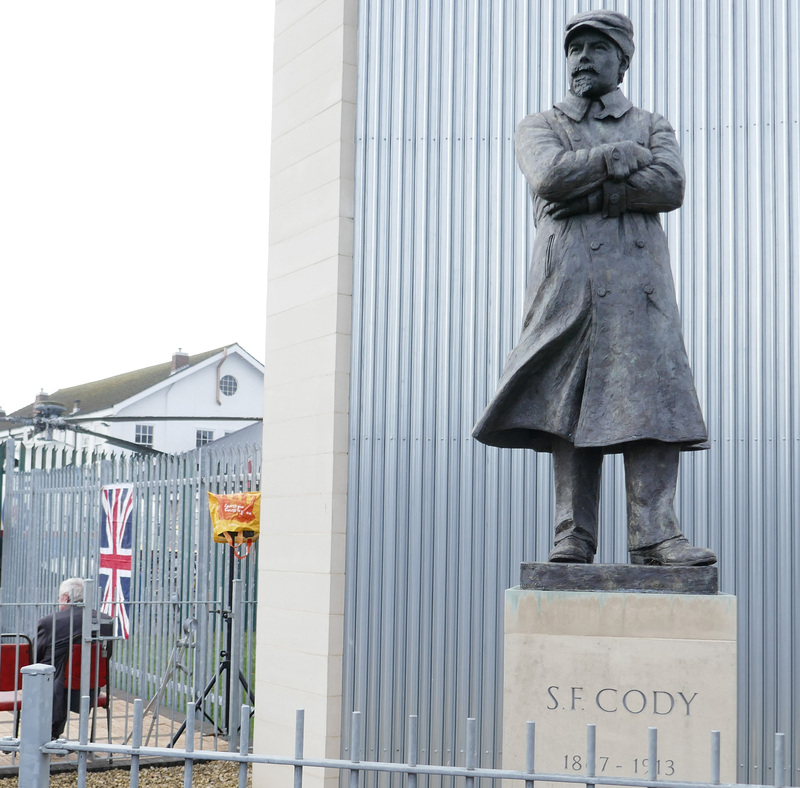 In 1907 Samuel Cody began work on his first aeroplane. Construction was carried out over many months in the balloon shed at Farnborough during which time he experimented with the relative positions of the wings, wheels, chassis, radiators, steering column, etc. 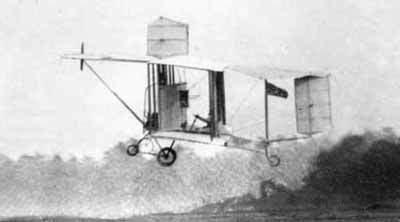 An Antoinette engine was purchased in Paris around July 1908 and on the 19th September the British Army Aeroplane No 1 made its first appearance. Short hops and runs along the ground were made during September and October and further alterations were made to the position of the radiators and in addition the wing tip ailerons were removed. 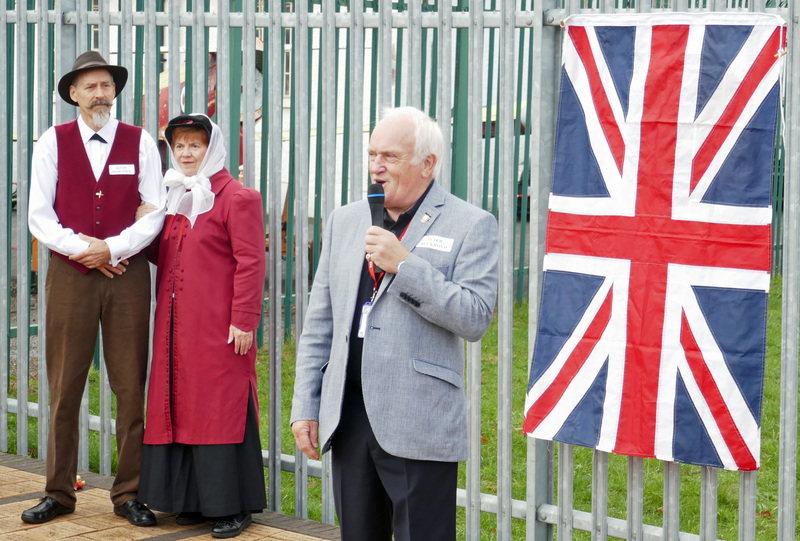 On the morning of 16th October 1908 the British Army Aeroplane No 1A was brought out onto Farnborough Common and with a Union Jack flag positioned at the top of the rear, centre strut, the machine took off and flew for a distance of 1,390 feet at a speed of 25 to 30mph. The flight ended in a crash when, on turning sharply to avoid a clump of trees, the left wing struck the ground. 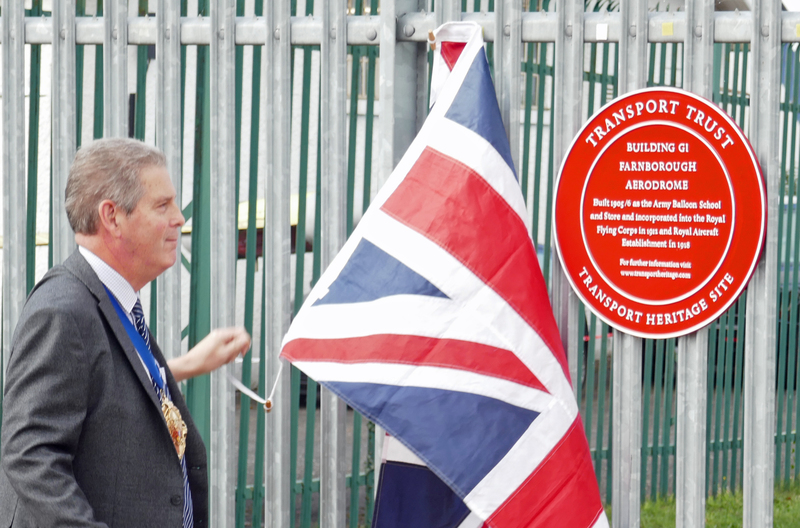 The flight had lasted for only 27 seconds but it was the first sustained flight in the United Kingdom of a heavier than air, powered aeroplane and ensured Farnborough a place in history as the birthplace of British Aviation. 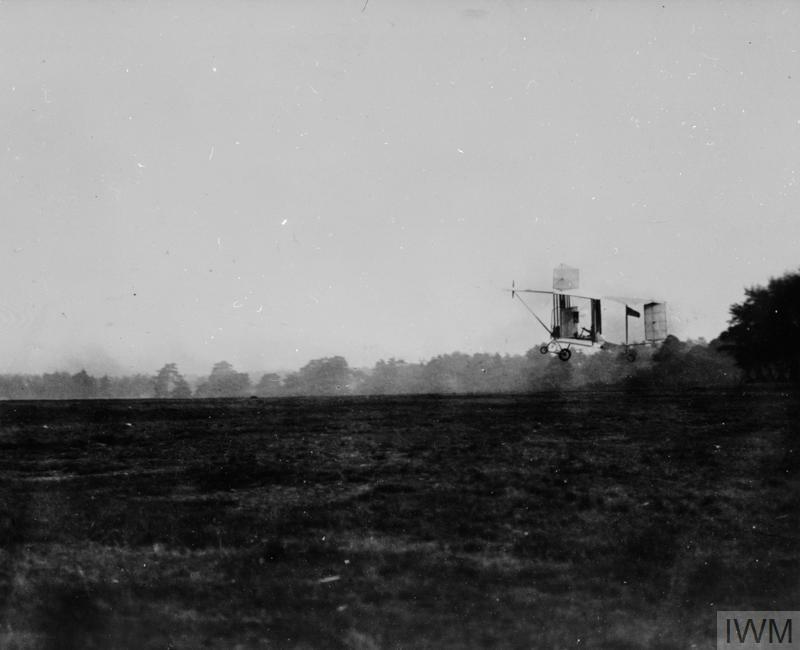 S F Cody making the first sustained powered flight in British Army Aircraft I over Laffan's Plain near Farnborough on 16th October 1908. The flight lasted 27 seconds and covered a distance of c 1390 feet. It ended in a crash caused by trying to turn the aircraft too quickly at too low a height. Although the aircraft was wrecked, Cody walked away largely unhurt. 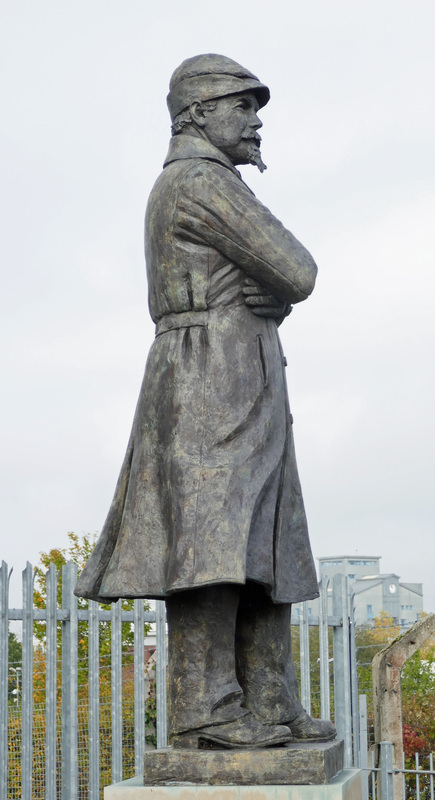 This entry compiled from FAST's website and also from an extract of Jean Robert's comprehensive website whose copyright and permission is gratefully acknlowedged. The Airship Nulli Secundus I, circling St Paul's Cathedral in London on 5th October 1907 during its record breaking flight from Farnborough to London. The flight of 40 miles, with S F Cody and Lieutenant Colonel J E Capper (Superintendant of the Balloon School at Aldershot) on board, took three hours twenty five minutes. 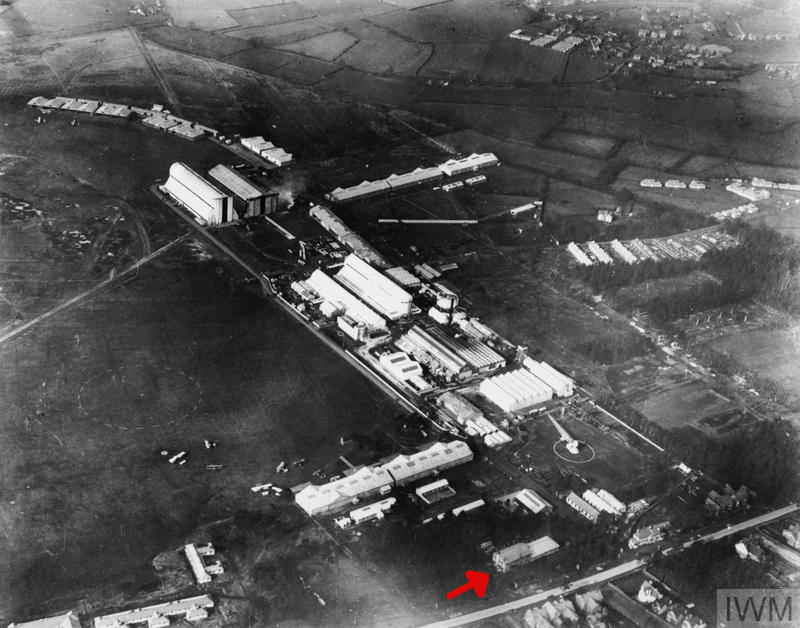 Farnborough - The Royal Aircraft Factory. The ' Black Sheds ' of today and The airship sheds can be clearly seen along with several aircraft on the ground. Building G1 highlighted in the foreground. Cody Aircraft Mark III passes over Brooklands race track, possibly at the start of the 1911 Daily Mail Circuit of Britain Race.